Went to a great talk by John Sims recently. He uses a lot of political iconography in his work. Reminded me of a phase I went through in my work years ago, and decided to recharge it for a change. Been thinking a lot about the violence in our own culture, and how quick we are to ignore it and point the finger at others. 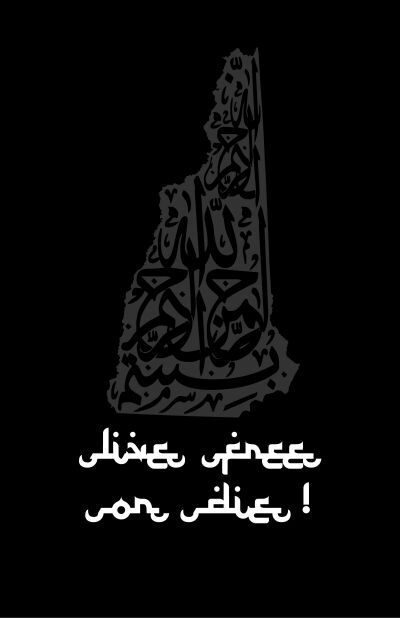 Imagine walking around a small town in New Hampshire with this on your shirt. Probably get arrested, right? Now imagine the exact same slogan on a shirt with a big iron cross on it. Would probably blend right in! Windows Live Mail eating up your RAM? Try deleting all of the RSS feeds and newsgroups. WLM comes out-of-the-box with some default feeds. I’ve noticed that they drive up the RAM that WLM uses and sometimes prevent email from downloading. Use blogtrottr.com for RSS-to-email instead.